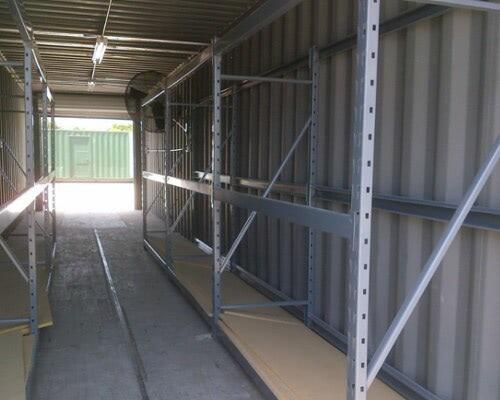 Storage containers with shelving keep your business tidy and organized. The convenient personnel door secures inventory without sacrificing accessibility. 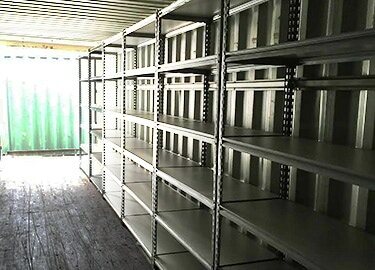 160 sq/ft or 320 sq/ft of flexible and affordable storage space. Optional access through 3' w x 6'8" h personnel door with lever and deadbolt. Each durable 3' l x 1.5' w shelf holds up to 800lbs.